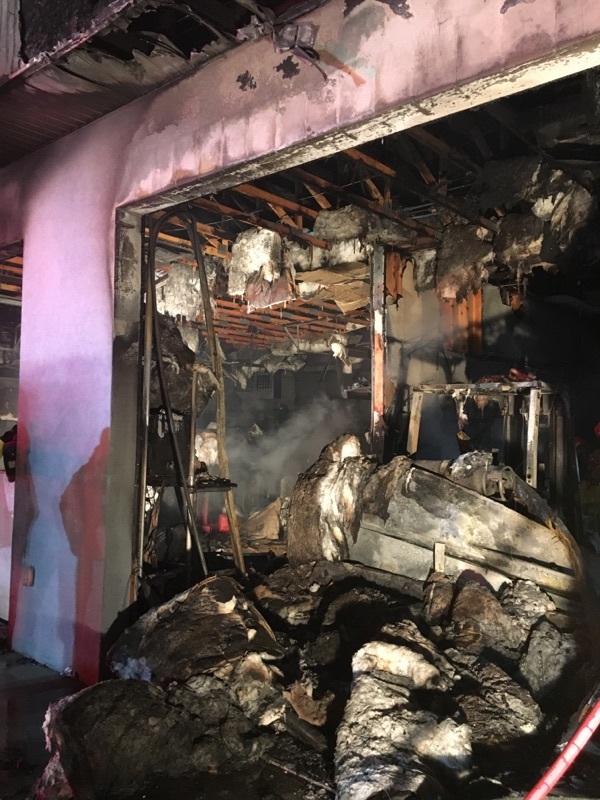 CEDAR CITY – Investigators have determined a forklift was responsible for starting a fire that consumed a business garage, burning the roof and all of the service bays and equipment inside. Read more: Fire consumes service garage at Cedar City business. Surveillance cameras showed the fire inside D & P Performance and Recreation started Monday night with some kind of an electrical short in the forklift, Cedar City Fire Chief Mike Phillips said. The state Fire Marshal’s Office and Cedar City Fire Department both investigated the incident that occurred at 110 E. Center St., Cedar City. Like other vehicles, forklifts have various electrical components that could be responsible for shorting out, the fire chief said. The forklift was 30 to 40 years old, making it more at risk for some type of electrical problem, he added. No one was injured by the fire. However, firefighters had some bumps and bruises left over after the incident, Phillips said. Below-freezing temperatures made fighting the fire difficult as the mist from the water hoses immediately froze the ground, causing crews to slip and fall while working. “The water we sprayed just turned the ground to ice,” Phillips said. Cedar City Public Works brought in salt to melt the ice, creating a safer work environment. The estimated loss to the business is not determined at this time but authorities expect it to be high since there was extensive damage inside the service area where the company maintains vehicles. While the storefront did have some smoke damage, crews were able to stop the flames from spreading further than the garage. D & P Performance and Recreation sells and services a variety of recreation equipment and products, including the Arctic Cat brand. Despite the fire, D & P remains open for business, Phillips said. good idea to update them forklifts every 30-40 years i guess. glad no one was killed.